Back in May 2013, in an interview during his Aylesford Skull tour, Mr. Blaylock mentioned a Zeuglodon sequel the working title of which was King Solomon's Ring. I'm sure he's been very busy with Beneath London, but has anyone heard any more about King Solomon's Ring? I haven't heard anything more about it since then. I seem to recall that King Solomon's Ring (or "seal") is connected somehow to the ability to speak with animals, which fits into the cryptozoological aspects of the world of Zeuglodon. I saw Herr Blaylock at the LA Vintage Paperback Show. I asked him about "King Solomon's Ring". He seemed somewhat reluctant to answer. He said it is 25% complete sitting in his laptop. if I had known it would make him uncomfortable, I would not have asked. He is an absolute gentleman to his fans. At a previous LA Vintage Paperback Show (which I highly recommend), Blaylock mentioned his upcoming "Aylesford Skull", but the room was so loud, and I am somewhat deaf, what I heard was "Ales for Skulls", I couldn't think of a title more Blaylockian. Who would be thirstier than a skeleton? It seemed almost a cheesemaker title. So I moved along, looking forward to "Ales for Skulls". I bought the new title, and more than one bottle of ale since. I'll just throw it out there, even though I think any holder of such knowledge would disseminate it without delay: any word on upcoming stuff? Rumors? Whispers among the trees? Weetabix dregs read for signs of future publishing adventures, or adventures to be published? There seems to be a new Langdon St. Ives work coming down the pike. 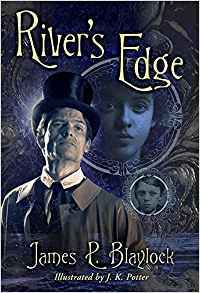 A novella called River's Edge from Subterranean Press. The body of a girl washes up on a mud bank along the edge of the River Medway amid a litter of poisoned fish and sea birds, casting an accusing shadow upon the deadly secrets of the Majestic Paper Mill and its wealthy owners. Simple answers to the mystery begin to suggest insidious secrets, and very quickly Langdon St. Ives and his wife Alice are drawn into a web of conspiracies involving murder, a suspicious suicide, and ritual sacrifice at a lonely and ancient cluster of standing stones. Abruptly St. Ives's life is complicated beyond the edge of human reason, and he finds himself battling to save Alice's life and the ruination of his friends, each step forward leading him further into the entanglement, a dark labyrinth from which there is no apparent exit. 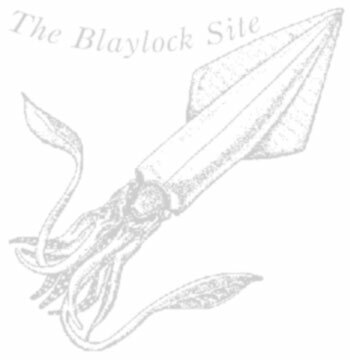 Another recent piece of writing is Blaylock's introduction for HG Wells' War of the Worlds. A timely reminder! Many thanks. I just pre-ordered the Kindle version, which should pop up on my machine in a week or so, and while I was at it I also ordered Tim Powers' Medusa's Web from last year. A veritable bonanza of spicy goodness. Can't believe I missed this one. Just ordered. The balance has been restored.